How many conferences have you ever gone to and actually come away with a game changing moment of how you teach or do therapy? It's happened only a few times so far in my ten year career. 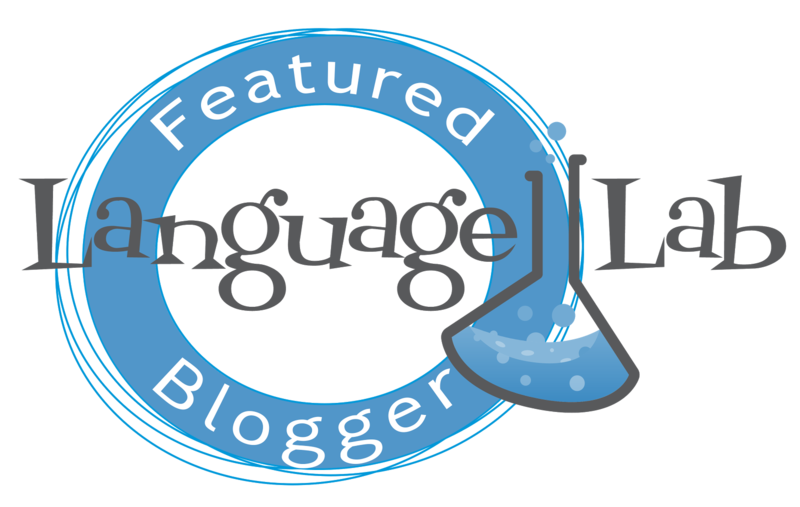 The other day I attended one of those sessions that really left a mark in how I should be teaching augmentative and alternative communication: Language Acquisition through Motor Planning (LAMP). I'm fairly new to the concept of Minspeak even though Dr. Spiegel tried to explain it to me over ten years ago in graduate school. What it took for me to finally figure it out was when I got a new student with an old Prentke Romich Springboard Lite communication device. There's only one way to learn--get your hands dirty. Actually, that would be the best advice I could give to anyone who has a technology aversion. And, of course, you should attend an official LAMP training. If you've ever seen AAC devices or software, you'll notice that most of them come with some sort of pre-programmed vocabulary. Some have basic templates where you insert simple wants/needs/feelings. 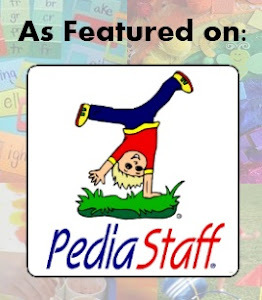 Having this option is very helpful especially for time strapped SLPs. Maybe you've noticed, but the pre-programmed vocabulary in these devices is actually very purposeful. It is called Core Vocabulary. These are words that are most commonly used in our language. So what's the difference between what I used to do versus what I learned at the LAMP conference? It's all about the Core Vocabulary. Instead of programming buttons and pages and more buttons and pages, using the Core Vocabulary allows users more opportunities for spontaneous, novel communication. 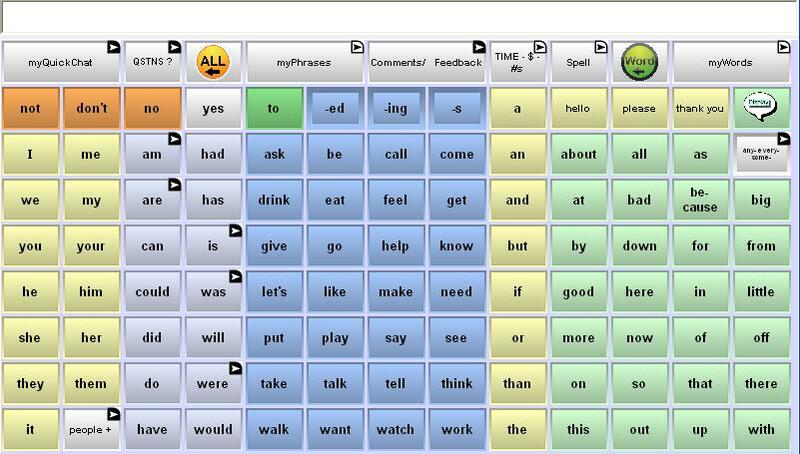 So, by using the LAMP method, users learn how to use AAC through repetitive motor movements. The buttons are in the same location every time. You teach the sequence. Repeat it. Practice it. Make it automatic. The reason why LAMP had an impact on me is because it gave me a method to teach AAC. You see, I can make my pages look pretty and logical (to me), but they don't mean squat to the student who needs to be told how to navigate to a specific place every time. With this method, you teach the motor planning to get there. For example, the other day I did an activity with two students. One had to ask, "Do you like (a certain food)?" Then, my AAC user had to respond back with either "I like it." or "I don't like it." We repeated this about 25 times. Now, after one session, my AAC user has learned this motor plan to compose this phrase. And, I might add, she does it really quickly now too. It was a really functional activity. The fun part was that we learned a lot about our AAC user than we had ever before. She told us that she didn't like donuts! Who doesn't like donuts?! The beauty of this all is that I am at the learning stage of using this method. By using the guide and watching online tutorials, I now have direction when teaching AAC to my students. If you get a chance to go to a LAMP training, I highly recommend it. You can even take it one step further by becoming a local training resource through a mentorship program. Have you attended the LAMP training? What did you think?